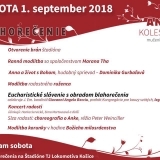 The main celebrant of Anna Kolesárová´s beatification will be cardinal Giovanni Angelo Becciu, the new prefect of Congregation for the Causes of Saints. On 28 June 2018 the Archbishop of Košice Mons. Bernard Bober informed about it at the meeting with the organizing team of Anna Kolesárová´s beatification. For those who are interested there will be available approximately 900 places in schools. The parishes Košice – South and Furča provide the accommodation in their families. Until now there are 2 805 people registered from different communities and parishes, 61 priests and 90 religioners. There are also 32 registered buses which will come to Košice. The end of registration will be on 31 July 2018. The organizing team invite also volnteers who would like to help with the preparation and organization of beatification with the next 217 already registered volunteers. 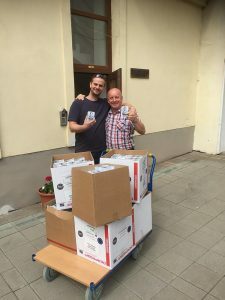 The organizers have already distributed 100 000 information folders with short biography of the future blessed, the program of the beatification, the organizational instructions and the prayer for the canonization through the dean´s and parish offices. There will be two big parking lots for buses and cars. For participants coming from Rožňava (west) it will be the parking lot next to OC Optima. For participants coming from Prešov (north) it will be the parking lot next to Hypertesco with total capacity 2 000 places. From both parking lots as well as from the rail station there will be free shuttle service circulating from 6 am. For the disabled people on a wheelchair with the ŤZP (hardly disabled) license and their accompanying person there will be the special zone in the stadium area with the entrance from the Kavečianska cesta.